You might want to spend the long weekend working on your Churchville landscape, but you could run into a problem: what do you do about wet soil? Spring is almost over, and Memorial Day, the unofficial start of summer is less than a week away. You might want to spend the long weekend working on your Churchville landscape, but you could run into a problem: what do you do about wet soil? Join us as we find out together. 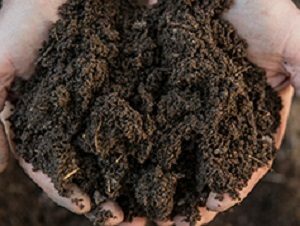 First things first, you need to figure out why your soil is so wet. Constant rains aren’t going to be the only reason, although that might be your first answer. Even so, knowing the true reason for wet soil requires you to do some research. Find out what your Churchville neighborhood’s water table is, and how high it goes. Then, you’ll need to consider how your yard is graded, and what the soil is made of, along with any potential problems with drainage or erosion. You might have to talk to the county officials who are responsible for overseeing the water table. Also, after it rains again, don’t hesitate to take a walk around your yard. See whether your patios, walkways, and driveways are particularly drenched. Dig a hole wherever you find some wet topsoil. If water drains at least 2 inches in an hour, then that’s a good sign. Sometimes, you might have to make a larger hole. The hole should be 2 feet deep and 2 feet wide and then you should see how it drains; drainage inside an hour is good, but no drainage after twelve hours isn’t. Another solution is to modify your landscape. Doing this means that you could add a terrace over a slope in your yard, or add some raised beds to slow down the passage of water, taking a useless nuisance and making it a place to grow something new and beautiful instead. Sand, gravel, mulch, and hardscaping designs are all options when you need to enhance the drainage of your Churchville yard. Doing this can help slow down soil erosion and keep your lawn, yard, and landscape much healthier and fun to walk around in this summer. This entry was posted on Friday, May 25th, 2018 at 9:15 am. Both comments and pings are currently closed.